BOUNDARIES is a film about breaking boundaries, not creating or keeping them. 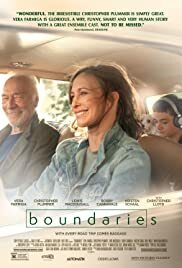 When the film starts, Laura (Vera Farmiga) talks to her therapist about the boundary she had created with her estranged father, Jack (Christopher Plummer). Jack has telephoned but Laura has refused to pick up. But she eventually makes contact with him. BOUNDARIES is a feature by writer/director Shana Feste who has made 5 or so features including THE GREATEST and COUNTRY SONG. BOUNDARIES caters to the commercial moviegoer, hitting all the right buttons at the correct times For the more critical filmgoer, critics included, all that transpires might be all too much. BOUNDARIES has so far received very mixed reviews. Hate it or love it! has reluctantly agreed to take him in. In return, Jack promises to pay for Henry to attend a private school, where his creativity can be nourished. Expect lots of theatrics that will involve lots of tears and laughter. So, Laura, Jack, Henry and a few of the furry strays head off, with Jack insisting they stop along the way to visit a Buddhist camp, a couple of old pals (Christopher Lloyd et al.) and even Laura’s feckless ex-husband (Bobby Cannavale). Little does Laura know that Jack is selling weed from the $200,000 stash in his trunk, having a last bit of fun before the drug becomes legal. Still oozing charisma at age 85, Jack has also cajoled Henry into helping him. Despite its predictable Hollywood happy ending, Feste takes her audience for a ride with some good dialogue and good performances from her actors. Christopher Plummer is quite hilarious. Of the supporting cast. Peter Fonda does what is expected as the film deals with weed. But it is Bobby Cannavale steals the show as Laura’s ex, a real a-hole. The films most dramatic and powerful scene involves him and Farminga, who also proves her acting mettle. The film can also be described as an edgy family road movie. The film includes an appropriate road movie soundtrack, pleasant to listen to especially on the road. moved in with her when he became ill. Her father (who recently passed away) has a cameo in the film as the construction guy who cops weed from Jack. 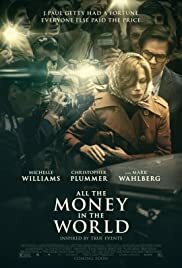 The big question everyone will be asking about ALL THE MONEY IN THE WORLD is how effective the replacement of Christopher Plummer in the titular role of Paul Getty. After the sexual harassment allegations surfaced on Kevin Spacey, director Ridley Scott (BLADE RUNNER) quickly replaced him with Plummer, doing the required re-shoots. 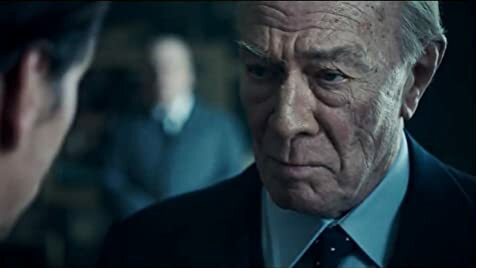 After viewing ALL THE MONEY IN THE WORLD, all traces of Spacey have been removed and it is nothing short of remarkable that Ridley has done such a great job. And Oscar Winner Plummer is great. Spacey would ave added a sly, comedic sarcastic element to his portrayal – his trait, but Plummer plays him straight, funny or serious depending on the situation. The world needs not need to see a more sarcastic Getty. 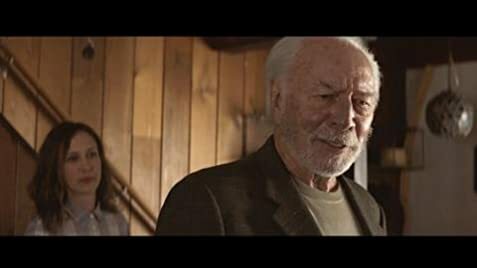 The film is narrated from the grandson, Paulo (Charlie Plummer, no relation to Christopher Plummer), giving the film his perspective on his grandfather. “He is not only the richest man in the world, but the richest man who ever lived!” Plummer as Getty shows the stingy side of a millionaire, how he trusts artifacts and objects instead of people, as these show themselves as they are, with nothing hidden. But just as his colleagues and friend betray him, he does the same with his grandson’s artifact. The film contains a few ineffective segments. 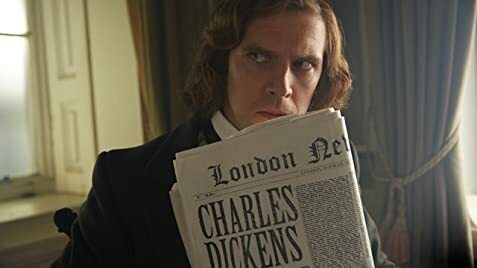 One odd one that stands out is a short segment set in 1838 in Saudi Arabia where Getty (in younger mode and Plummer decked in make up and dyed black hair to look younger) discusses oil. That scene is total unnecessary and could have been done away with to save money and Plummer looking a bit ridiculous. One cliched segment has the grandson walking the streets of Rome in the middle of the night accosting the prostitutes. When he remarks to one of them: “I can take care of myself,” one can guess that he is just about to be kidnapped. The next scene has him pushed into a car by the kidnappers. But there are a few impressive scenes like the beginning black and white shot of a city with vintage cars. The scene evolves into colour and the famous Trini fountain is revealed while Italian dialogue heard in the background. It could be a scene right out of Fellini’s LA DOLCE VITA. All the performances are outstanding from Michelle Williams as the angry mother slowly developing more tolerance towards the hired Chase to Plummer to Wahlberg. The best performance, however belongs to French actor Roman Duris (THE BEAT MY HEART SKIPPED, THE NEW GIRLDFRIEND) as the Getty’s grandson’s kidnapper. Scott’s film is strong on emotions. Getty’s daughter-in-law played by Williams undergoes the entire spectrum of emotions and character including, anger, strength, vulnerability, love, sensitivity, tolerance and annoyance. All kidnapping films have the element of the Stockholm Syndrome. As the kidnapper and kidnapped are both male, the bonding is one of trust and respect, which makes for the film greatest surprises. The film plays more of a suspense thriller than a biopic on the millionaire Getty. Still, there are enough screen time given to Getty to show him the man he could be. The words on the screen at the closing credits makes it clear that though the film is based on true events, dialogue and some events have been fictionalized. It would be interesting to know which parts of the film are fictionalized. The whole story, at the very end, seems like the perfect kidnapping caper, perfect for a good suspense film. The film also contains a message. 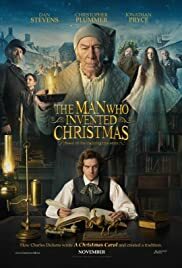 Watching Christopher Plummer as Getty teaches me, wealthy Scrooge, a few things while opening my eyes.